Join us this coming weekend for another wonderful event! 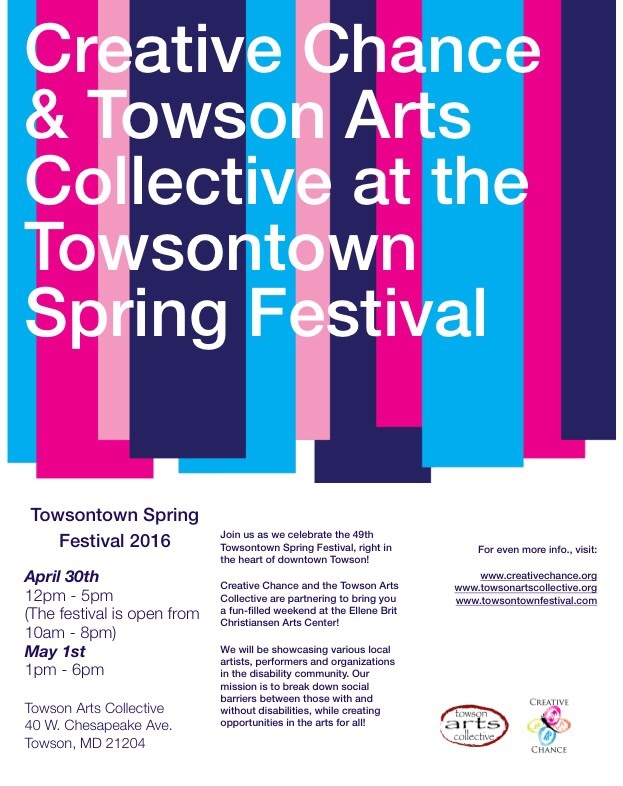 We are once again partnering with the Towson Arts Collective to bring you a one-of-a-kind community event that will be part of the Towsontown Spring Festival. Creative Chance’s artists will be featured Saturday, April 30th from 12-5pm and Sunday, May 1st from 1-6pm at the gallery. 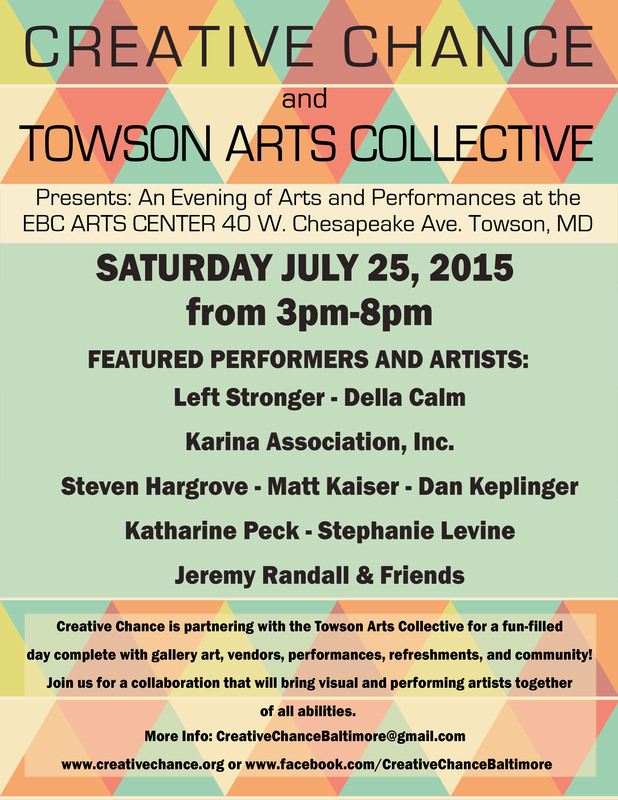 Feel free to stop by to see local visual artists, performing artists and enter our exciting raffles! More coming soon! We will be hosting an Artists Pavilion at the World of Possibilities Expo, presented by Caring Communities. We will be showcasing many artists, performers and organizations throughout the day. See the lineup below! I am very excited to start the official Creative Chance page! Welcome to all, and please feel free to leave comments and inquire further about the organization!